First, a little legal background. Currently, the FAA requires any company operating a drone for commercial purposes to be 333 exempt. This rule does not only pertain to companies using the drone to sell an end product, but includes any company using it for conducting business, whether it be documentation, marketing, etc. 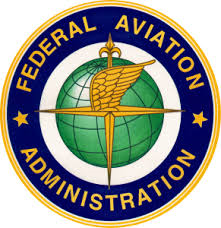 In adition, the regulations also require the operator to be a certified pilot by the standards of the FAA. That operator has rules they have to follow considering no fly zones, mazimum flight elevations, etc. These regulations are not law, but are enforeable by the FAA, where they can issue fines and revoke future licensing. What is interesting is that the FAA does not seem to be strictly enforcing these regulations today. Why? There is a lot of grey area regarding the rules and regulations and only a hand full of companies are actually followuing them. The news everyone is anxiously awaiting is the release of Part 107, expected on June 21, 2016. Part 107 will eliminate any grey area and lay out exactly what is required to operate UAV’s in todays airspace. This will not be something to neglect! There are a lot of speculations out there regarding whether they will become more strict or lax on the regulations. But only time will tell what really becomes reality. I know one thing for certain, we can expect these new regulations to be highly enforced once released, so companies better make sure everything is in order and legal. The highest you can legally fly without being in communication with air traffic control (ATC) is 400′ above ground level (AGL). You must allert and get permission to fly within 5 statute miles from the center of a towered airfield. You must know the no fly zones to be aware of, such as the George Bush Residency in Dallas, TX. You may not fly at night unless otherwise exempt by the 333 exemption. There are precautions that can be taken in avoiding privacy issues when doing aerial photo shoots with drones. Taking these precautions can do a world of good for you! Communication is the key. Simply visiting the neighbors of the location you plan to do a photo shoot for and telling them exactly what you are doing will take the room for trouble out of the equation. These are things you need to know and can use when hiring a drone operator for a job. Not following these rules, regulations, and precautions could be costly to your business. For more information, feel free to contact us at (214) 842-6000.